So you’ve identified loads of prospects, and talk to your most promising potential customers every week. They seem enthusiastic!- And claim to ‘almost’ buy from you. But with every week that passes, you get less sure that they ever actually will. What is going wrong? The answer is lead nurturing. The fact is that, especially in some industries such as software, sales cycles are long. The potential customer you have carefully nurtured, though excited about your product, simply cannot buy it from you now. This is why integration of ‘lead nurturing’ into your sales process is important. Also, making sure that this process is synchronized with your customers is essential too. Do not repeatedly send out the same content to potential customers. Also, don’t come across as too “salesy” at the wrong time. This could make you lose them before they buy from you. This a waste of a potential sale, and a waste of your time as a marketer. Fear not, though. There are a few easy ways you can integrate ‘lead nurturing’ into your sales process. You can do this and ensure potential customers get the information they are after at the right time. The first step for many potential customers is when they realize that they have a problem. But they also know there is a solution to fix it. You obviously want to let them know that your product is the solution! At this stage what leads generally want is neutral, unbiased information on their options. This is the time to collect as much information as possible on your potential lead. Make sure they can access information on your website.You can collect their contact details as they do so. At this stage, therefore, avoid coming across as too “salesy”. Allow the customer to explore options available to them through content that appears neutral. But gradually guide them towards your products. If they make their own mind up, they are more likely to be committed to a sale. Use: ebooks, whitepapers, and articles about your client problem. The lead needs a good understanding of the problems they are trying to overcome. They must also have insightful research into potential solutions. Once this is done, you can begin to be a bit more aggressive with your marketing. They likely already know the benefits, costs, and some of the intricacies of how your product works. You can use this to your own advantage. Sending the potential customer detailed explanations of why your product is market-leading… This is a good way for them to use their newfound knowledge of your sector, and can be very effective. Use: demos, webinars and case studies. The decision stage is where everything comes together. It is at this stage that a personal approach can really make a difference. So give potential customers a call just at the moment they are deciding. If you are analyzing data correctly, you should know be able to detect upcoming sales phone calls. Use this intelligence to your advantage. Building a rapport through addressing customer concerns is a good way to get them to come back to you. Especially when they have the funds available to make a purchase. Use: free trials, webinars and competitor comparisons. A lot of marketers already use automated lead nurturing systems that automatically send out information to your clients. I highly recommend that you look into this system as it can save time. If you are already using an automated lead nurturing system… Are you sure that it is working as well as it could? Systems like this can be powerful tools, but they need some fine tuning to work correctly. Firstly, make sure you are using the system to send out information potential clients ‘want’. Sending a series of interesting, well-written white papers is more likely to interest them. Especially, in comparison to sending the same sales email over and over. Second, don’t regard all your potential clients as part of a homogeneous mass. 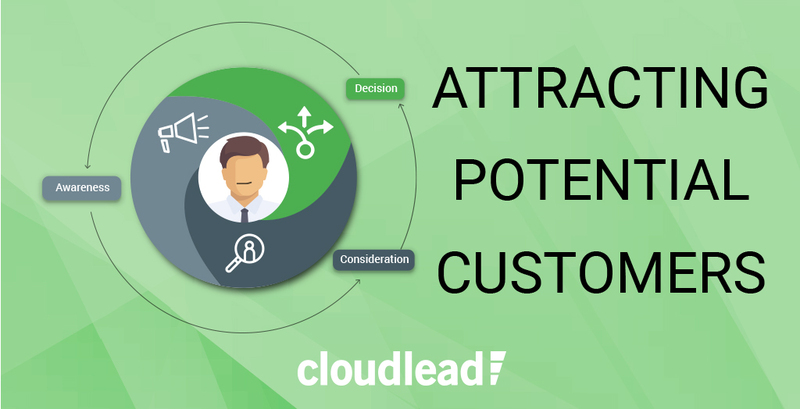 Many automated lead nurturing systems allow you to analyze the ways recipients interact with the information you send them. You may find that particular segments of your contact list only buy at the end of the tax year, for instance – use this information to inform your campaign. Third, you can use these same tools to grade your clients according to their level of interaction with your material. This helps you to pinpoint customers who may just need a phone-call to tip them over into a sale. Focus your time, as always, on those customers who are actually going to buy from you. In the awareness stage, try not be too persistent – sometimes it’s better to sit, listen and understand your potential customer. In the consideration stage: Now your potential customer is more literate about your industry products and services. This means you can be more aggressive as they can understand what you have to say. Finally, when you know your customer is in the decision stage. You can contact them so they will acknowledge what you have to offer. Marketing Strategist at Cloudlead, passionate about all things marketing, content and data. Firmly believes that targeted data lies at the heart of any successful marketing campaign. LEARN HOW WE CAN ACCELERATE YOUR REVENUE TODAY! © Copyrights 2019 Cloudlead.co - All Rights Reserved.